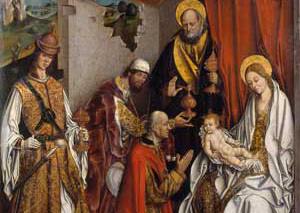 Epiphany is celebrated on January 6th each year and celebrates when the three wise men visited baby Jesus and when Saint John the Baptist baptized Jesus. Many people will attend church and some will have children dress up as the three kings as a re-enactment. This holiday marks the start of the carnival season which ends the Mardi Gras.